Just like in most major cities, Milan also has its Chinatown. The neighborhood, home to Chinese shops and restaurants, is located between Paolo Sarpi, Bramante and Canonica streets, next to the monumental cemetery and Sempione Park. 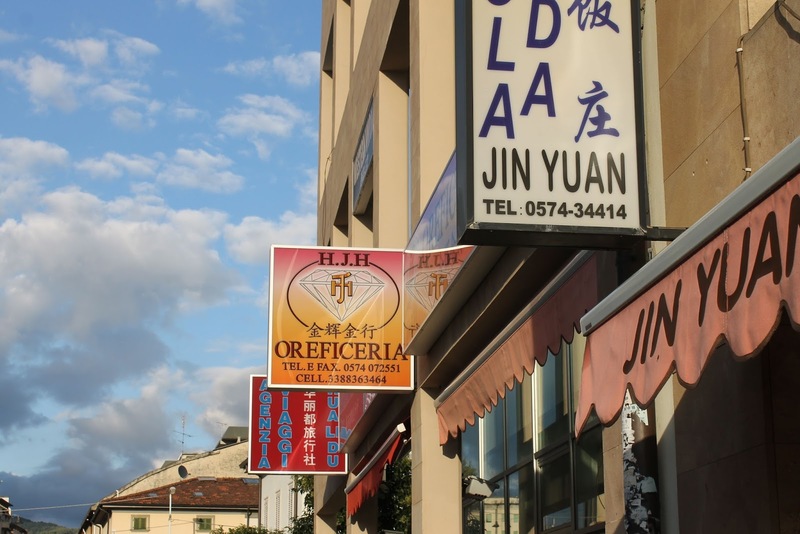 Chinatown in Milan is, without doubt, an ethnic enclave which is situated in the Milian 8th quarter and it is a very important commercial district. Having over 25,000 people makes this town the largest and as well, the oldest Chinese community in Italy. The main shopping street is via Paolo Sarpi, where you can find shops selling Asian products, bookstores, clothing stores, shoes, and costume jewelry, as well as a variety of Chinese, Thai and Japanese restaurants, all at an attractive price. The first Chinese arrived in Milan around 1920 and settled in the then peripheral via Paolo Sarpi, initiating activities related to the textile industry, especially the work of silk for the production of ties. Chinese expansion continued during World War II, with leather being the focus of commercial activities, as the aim was to provide military belts to the Italian and German contingents. At the end of the 90’s, it was the turn of real estate agencies and specialized mobile phone shops. Since the beginning of the 2000’s, wholesale enterprises run by the Chinese have predominated, especially clothing, accessories, and costume jewelry. The peculiarity of Chinatown is that, although most of the businesses belong to the Chinese, the residents of the neighborhood are predominantly Italian (95%). Chinatown in Prato, Italy is not lacking in history. The original area was in the eastern part of Prato, Italy where thousands of Chinese sailors began to concentrate at the end of the 18th century . These had been hired in China but, for various reasons, had had to go to live in Prato. In 1914, 30 Chinese businesses had already opened in this city, mostly to supply the sailors themselves. During the Second World War the area was destroyed and finding work in the navy was impossible mission for foreigners. In the middle of the 20th century, the Chinese who remained in Italy suffered serious hardships. Luckily for them, the soldiers returning from Asia came wanting to continue tasting Asian food. At that time the first restaurants were opened in a street with a great international gastronomic reputation. Prato has nostalgia. This city in the center of the Italian peninsula was once known as the Tuscan Manchester for its weaving factories of the proud “Made in Italy” brand, but to this day, the whole country looks at it as it has become the third largest city in Europe in number of Chinese immigrants. 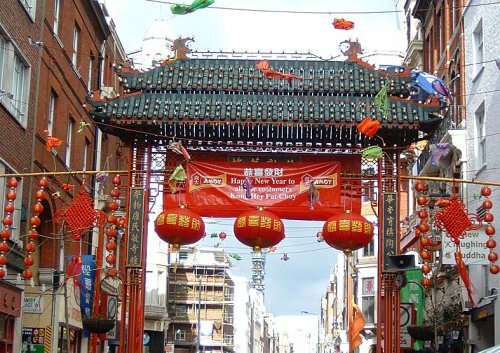 The popularity of Chinese restaurants attracted great Asian entrepreneurs who turned the area into what is now Chinatown. In a visit to Prato, Italy, you cannot leave aside a walk through these streets that are a few meters away. For about 10 Euro’s you can have a good meal at most restaurants in the area. Chinese food in this city is much more authentic than restaurants in other parts of the world! 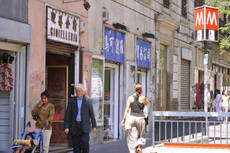 Chinatown in Rome is the Chinese neighborhood of Rome and is located on the Esquiline Hill, near Roma Termini Station. In recent years, the number of shops, hotels, restaurants and the like that Chinese-Italian owners got increased sharply, now there are more than a hundred. Some forty thousand Chinese live in Rome. Streets with many Chinese shops and services include: via Napoleone III, via Carlo Alberto, via San Vito, via Ferruccio , via Machiavelli , via Leopardi and via Buonarroti. There are Chinese restaurants, Chinese health centers and a temple called Pu Tuo Shant Temple. A big difference with other Chinese neighborhoods is that Chinese affairs in Rome Chinatown sometimes have a great distance between each other.